mission — The Record Co.
a city where everyone can make and enjoy music. 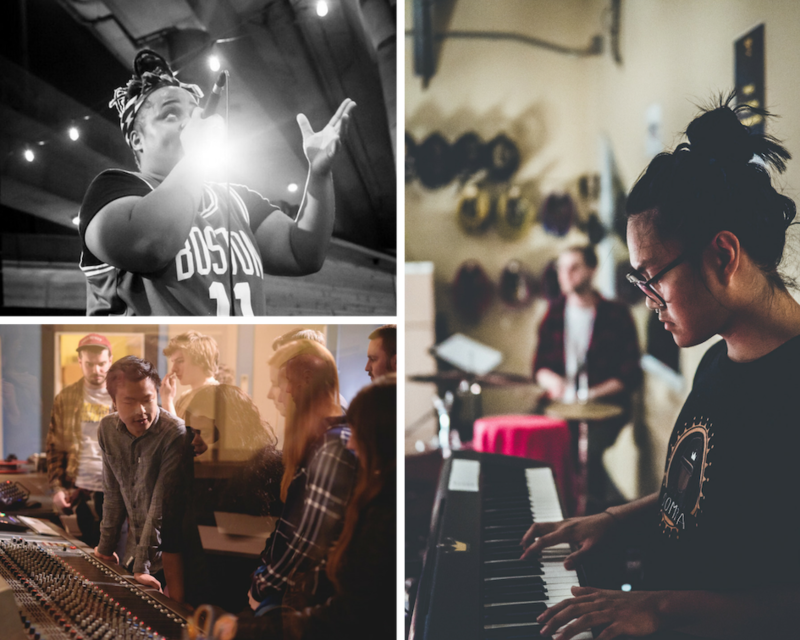 To remove the technical and social barriers between Boston’s music makers and their creative visions through truly affordable music workspace and professional development programs. ACCESS. Music making is for everyone — no matter your gender, race, class, sexuality, or other status. We champion those with less access and we welcome all with radical hospitality. WORK. Music makers are workers who should be fairly compensated. They deserve to control their own creative process and the use of their work. COMMUNITY. No heroes, no assholes. The best music scenes thrive on mutual trust and respect. Every music maker deserves to learn, grow, and progress in a supportive community. We’re building a hub where music makers of all walks can exchange ideas and grow their artistry together. Our house is your house - just show up, connect, and create. Imagine a vibrant and equitable community where music makers are creatively fulfilled and music is an inherent part of what makes Boston a great place to be. It’s possible…and we’re making it happen.